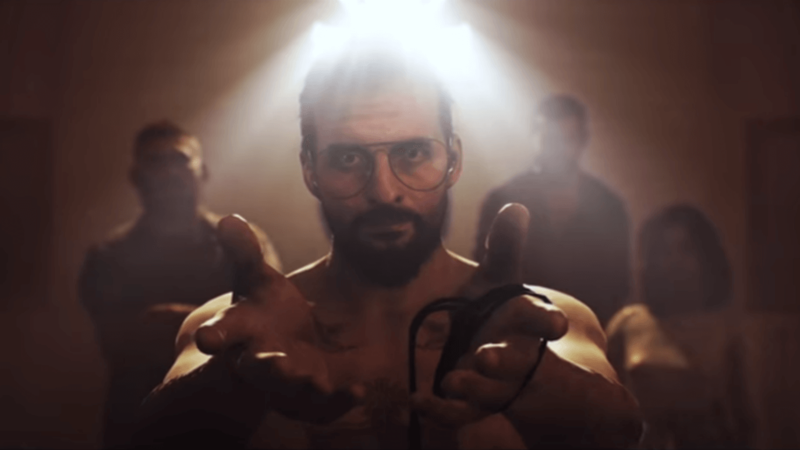 In the light of its recent delay, Far Cry 5 has a new trailer out highlighting what you need to do to grow the efforts of your resistance. As it turns out, a lot of it involves killing, burning, and pillaging. The footage opens with several shots of the game’s crazed cult, Eden’s Gate. They have been wreaking havoc in a small town called Hope County in Montanna. They murder and display those who they disagree with, and generally take over the area with a maniacal force. The best way to fight fire it turns out is with gunfire. Like previous Far Cry games, dwindling the enemy’s numbers will require a combination of careful planning, large firearms, and a little bit of help. Outside of the main quest and the game’s many and unique side quests, players will have a chance to explore the American countryside and rid it of those that would dare to take away the freedom of its citizens. That is where all the action comes in. While the newest Far Cry game continues the series’ recent tradition of wild action and over-the-top characters, it is also tackling very serious subject matter. The game’s cult represents a very real phenomena that have sprung up in recent years. While we are sure to get a great villain, one that might give Vaas a run for his money, we will also get a chance to invest ourselves in a story that explores freedom, radicalism, and social, political, and religious ideals. These themes have been present in Far Cry before, but never quite so heavily. It will mark a new direction for the franchise and already looks to have the makings of a truly special title, even compared to past games in the series. Ubisoft’s Far Cry 5 will be available for PS4, Xbox One, and PC March 27, 2018.